With Christmas right around the corner, trying to find last minute gifts is so tough. 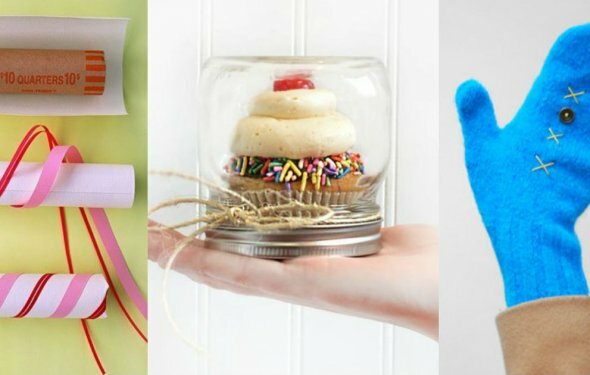 So, we put together 10 of the coolest DIY presents that you can gift to your crafty friends or family! 1 This kit is so cute and will absolutely come in handy! 2 Treat your family and friends to a timeless favorite with the Hershey’s S’mores Kit. Complete with deliciously rich Hershey’s Milk Chocolate, S’mores are a classic event staple that can be enjoyed both indoors and out. 3 This is the cutest gift for a book lover! 4 An out-of-this-world crochet adventure, the Star Wars Crochet kit offers a fun and interactive experience by including a full-color paperback book with step-by-step instructions for crocheting Star Wars' most memorable characters, plus yarn, a crochet hook, a needle, stuffing, and safety eyes. 5 Create your own amazing hot sauce recipes with Grow and Make's Deluxe Hot Sauce Making Kit. 6 Get ready to wow your friends with your knowledge of cocktail making, and become an expert barman from the comfort of your kitchen. 7 Aimed at crafters who need the skills to turn their creative ideas into reality, this easy-to-follow guide covers everything from finding inspiration and choosing colors to creating backgrounds, borders, and full-scale repeats. 8 Adult coloring books are such a craze right now and this one is amazing! This poster book features 20 enlarged designs from Johanna Basford's first book, SECRET GARDEN, currently a #1 New York Times Bestseller. 9 This kit includes all the ingredients to make LUSCIOUS body butter in under an hour! 10 Host your own Wine & Design party with your friends! DIY gifts are the perfect Christmas presents to give. They are not only fun for your friends or family to create, but they can also be so much fun for you guys to do together! We put together 10 of the best presents to give the crafty pal in your life and you’re going to love them! What is a creative gift to give to a friend this christmas? Make your friend a scrapbook with photos of you and your friends from over the years. for now!